The first meeting of the newly formed cabinet is set to be held on January 21. The meeting will be held at the Prime Minister’s Office in the capital’s Tejgaon area on the day. Cabinet Secretary M Shafiul Alam has confirmed the news on Monday (today). Earlier on Jan 7, the Cabinet Division has published a gazette distributing portfolios among the new cabinet members. It was published soon after the 47 members of the new cabinet took oath at Bangabhaban. Meanwhile, the outgoing cabinet got abolished with the publication of the gazette. The new cabinet includes 24 ministers, 19 state ministers and three deputy ministers. The 24 ministers are-- AKM Mozammel Huq (Liberation War Affairs), Obaidul Quader (Road Transport and Bridges), Md Abdur Razzaque (Agriculture), Asaduzzaman Khan (Home Affair),Mohammad Hasan Mahmud (Information), Anisul Huq (Law, Justice and Parliamentary Affairs), AHM Mustafa Kamal (Finance), Md Tajul Islam (Local Government, Rural Development and Cooperatives), Dr Dipu Moni (Education), AK Abdul Momen (Foreign Affairs), MA Mannan (Planning), Nurul Majid Mahmud Humayun (Industries), Golam Dastagir Gazi (Textiles and Jute), Zahid Maleque (Health and Family Welfare), Sadhan Chandra Majumder (Food), Tipu Munshi (Commerce), Nuruzzaman Ahmed (Social Welfare), SM Rezaul Karim (Housing and Public Works), Md Shahab Uddin (Environment, Forest and Climate Change), BirBahadur Ushwe Sing (Chattogram Hill Tracts Affairs), Saifuzzaman Chowdhury (Land), MdNurul Islam Sujan (Railways), Yeafesh Osman (Science and Technology) and Mustafa Jabbar (Posts, Telecommunications and Information Technology). 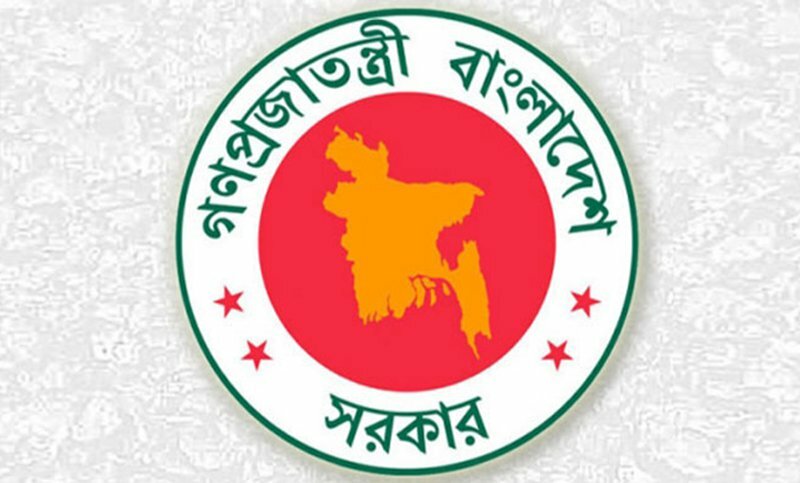 The 19 state ministers are--Kamal Ahmed Majumder (Industry), Imran Ahmad (Expatriates’ Welfare and Overseas Employment), Md Zahid Ahsan Russel (Youth and Sports), Nasrul Hamid (Power, Energy and Mineral Resources), Md Ashraf Ali Khan Kashru (Fisheries and Livestock), Begum Monnuzan Sufian (Labour and Employment), Khalid Mahmud Chowdhury (Shipping), Md Zakir Hossain (Primary and Mass Education), Md Shahriar Alam (Foreign Affairs), Zunaid Ahmed Palak (Information and Communication Technology Division), Farhad Hossain (Public Administration), Shawpan Bhattacharjee (LGRD and Cooperatives), Jahid Faruk (Water Resources), Md Murad Hasan (Health and Family Welfare), Sharif Ahmed (Social Welfare), KM Khalid (Cultural Affairs), Md Enamur Rahaman (Disaster Management and Relief), Md Mahbub Ali (Civil Aviation and Tourism) and Sheikh Mohammad Abdullah (Religious Affairs). The three deputy ministers are--Begum Habibun Nahar (Environment, Forest and Climate Change), AKM Enamul Haque Shamim (Water Resources) and Mohibul Hasan Chowdhury (Education).